NextEra Energy Resources seeks a buyer for Wyman Station, Yarmouth's biggest single property taxpayer. 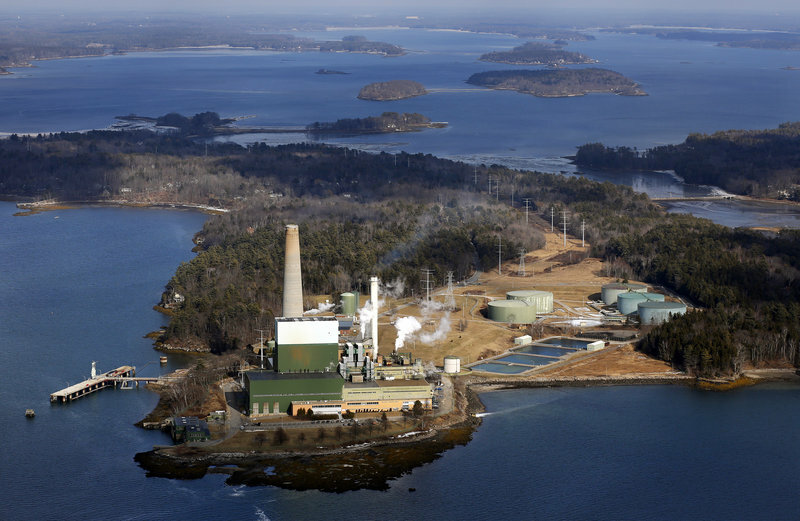 NextEra Energy Resources has put its two oil-fired power plants in Maine up for sale, in Yarmouth and South Portland. NextEra owns Wyman Station in Yarmouth, the state’s largest power plant, along with a companion 18-megawatt generator in South Portland known as Cape Station. Is it time to unplug Wyman Station? No timetable has been given for a pending shutdown, but no immediate change is expected. NextEra late last year sold its 19 hydroelectric dams in Maine to a Canadian company. In February, the Portland Press Herald reported that the sale of the company’s oil-fired units was likely, but the company declined comment. Operators of the power plant include 45 workers who are members of the International Brotherhood of Electrical Workers. A business manager for the union couldn’t be reached for comment early Wednesday. News of the proposed Wyman sale came in the Florida-based company’s earnings report on Tuesday. Wyman Station is a 56-year-old landmark in Casco Bay, with its 421-foot smoke stack visible for miles. The plant has an output capacity of 822 megawatts and can generate enough energy to power 893,000 homes, but rarely runs now because it competes with natural gas-fired units in New England that are cheaper to operate. That cost difference is a factor in the proposed sale, and will allow the company to take a charge of roughly $41 million. Although it runs infrequently, Wyman Station has been an important resource for the operators of New England’s power grid. On very cold days, demand for natural gas is so high in the region that oil-fired plants are needed to maintain a reliable power supply. The future of Wyman Station is of great interest to the town of Yarmouth, where the power plant remains the largest single property taxpayer. Although it covers less than 8 percent of the town’s tax burden these days, NextEra’s tax payment was $2 million. The plant was last year appraised at $95 million. NextEra and the town have been talking about future payments, but that issue remains unresolved, according to Nat Tupper, the town manager. Tupper said he’s aware that the plant has contracts to produce power for the regional grid operator through 2017, so he doesn’t expect any immediate shutdown. “It doesn’t fit their corporate strategy anymore, and it probably isn’t making money,” Tupper said of the decision to sell.